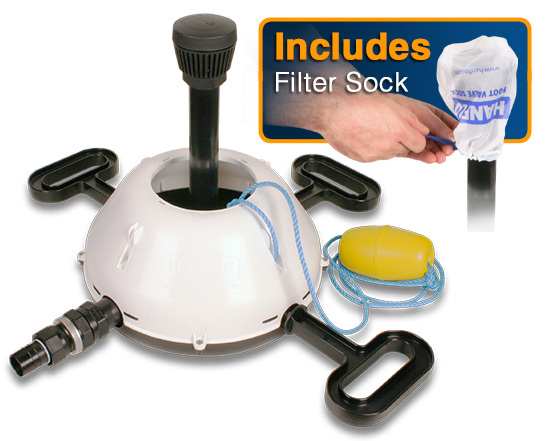 The Hanflo Han-Stands unique design takes into consideration the various requirements every cottager has when placing a foot valve into their lake. The inclusion of high quality, high strength components delivers a one piece product that's easy to set up, maintain and winterize. A complete solution that every cottager should own. 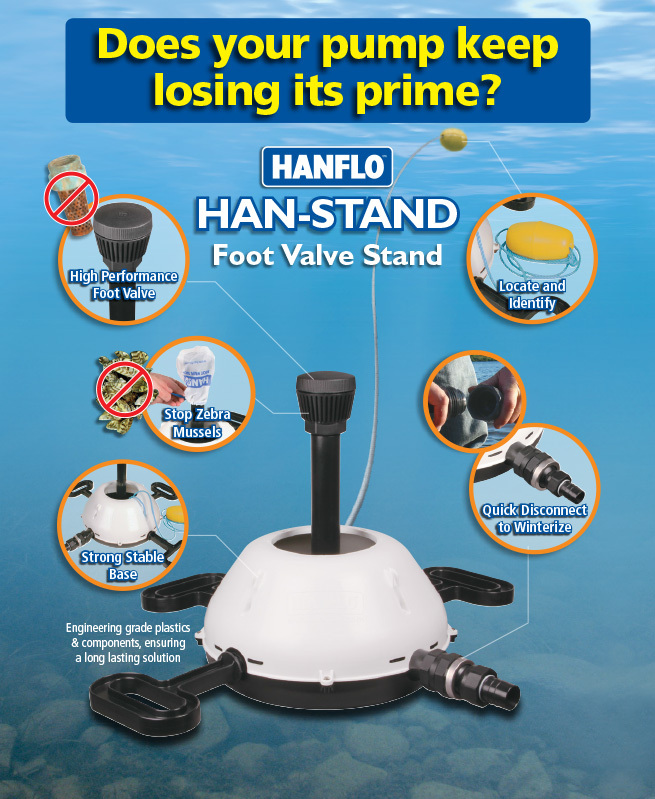 Q: Where do I use the HAN-STAND Foot Valve Stand? A: The HAN-STAND Foot Valve Stand is used in lake/river water supply system applications utilizing a jet pump and foot valve intake. The HAN-STAND is connected to the end of the intake line from the lake using a HANFLO Quick Disconnect Fitting. The HAN-STAND is placed on the lake floor using a weighted base and stabilizers. Q: Should I remove the HAN-STAND Foot Valve Stand for the winter? A: The HAN-STAND Foot Valve Stand can remain in the lake for winter providing the line has been drained or heated and the stand is below the ice levels. Follow recommended winter cottage closure procedures. Q: What do I need to install the HAN-STAND? A: To install that HAN-STAND you will require weight for the base of the stand (rocks, cement etc. ), a wrench to ensure a secure fitting connection and possibly a longer rope for installing the stand into the lake depending on depth to the lake floor. Q: How do I connect the Hanflo Quick Disconnect Fitting to my pipe? Q: What is the warranty on the HAN-STAND? Q: Why should I use the HAN-STAND and Hanflo products? A: Hanflo products provide easy, reliable, hassle-free, long-lasting solutions for your cottage water system. Q: Do I have to remove the Foot Valve and Union for servicing or winterizing? A: No. 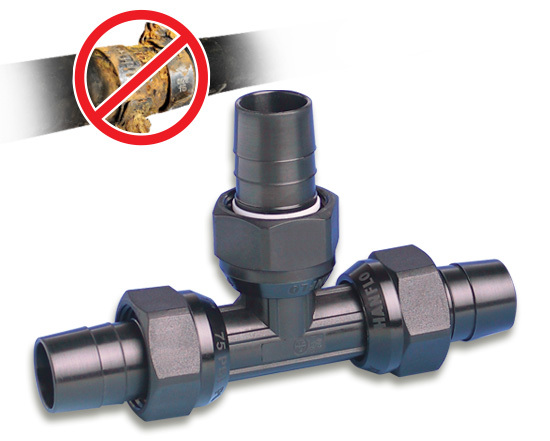 The Hanflo Foot Valve can be left connected to your pipe for servicing. The Foot Valve easy access cap allows for servicing of the components within the valve. 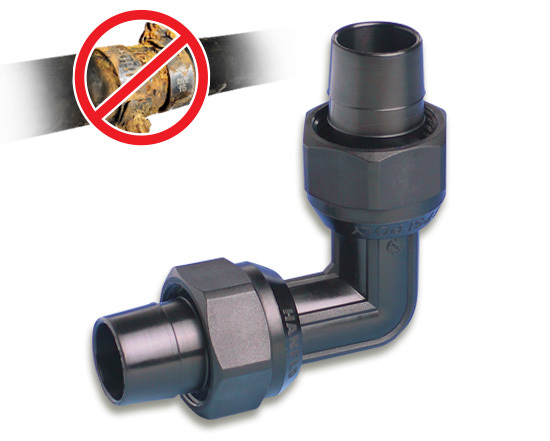 The Hanflo Quick Disconnect Union fitting remains connected to your pipe and with a simple turn of the union centre nut, the fitting can be repeatedly connected or disconnected.